In my previous post I summed up what it is like to build up a Raspberry Pi based “supercomputer”. 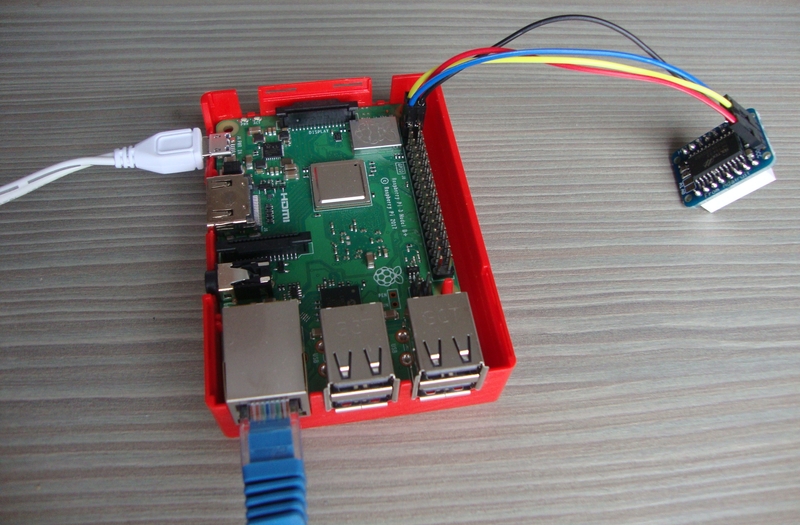 Since Raspberry Pi is a versatile device there are many more fun things one can do with it besides just running programs on it. One possibility is to connect a small LED lights panel to it to allow, for example, real-time visualisation of computations. Adafruit LED Matrix Backpack connected to a Raspberry Pi. Unfortunately, the lego cases I have for the Raspberry Pis are not quite suited for the use of LED lights, so my small supercomputer does not look that cool any more. It turned more into a random bunch of cables with different colors. 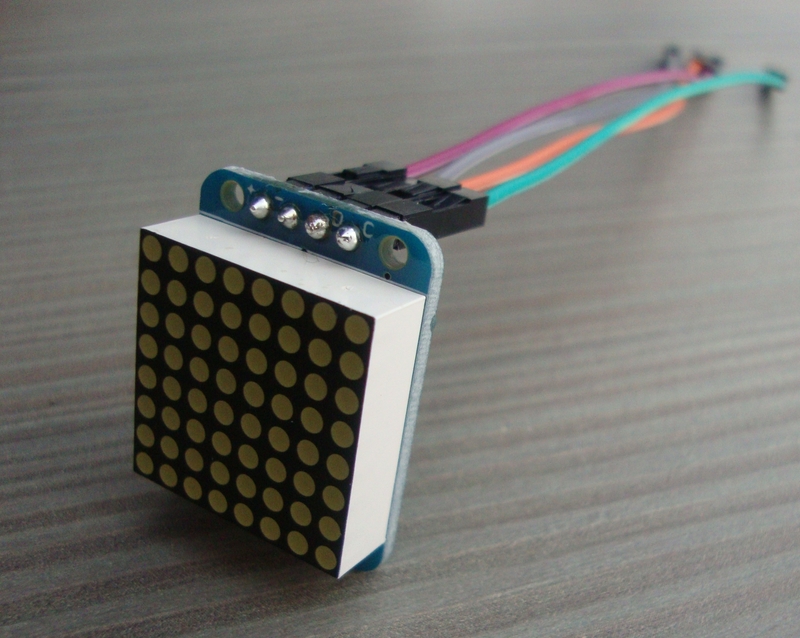 Freely available Adafruit Python Led backpack library. 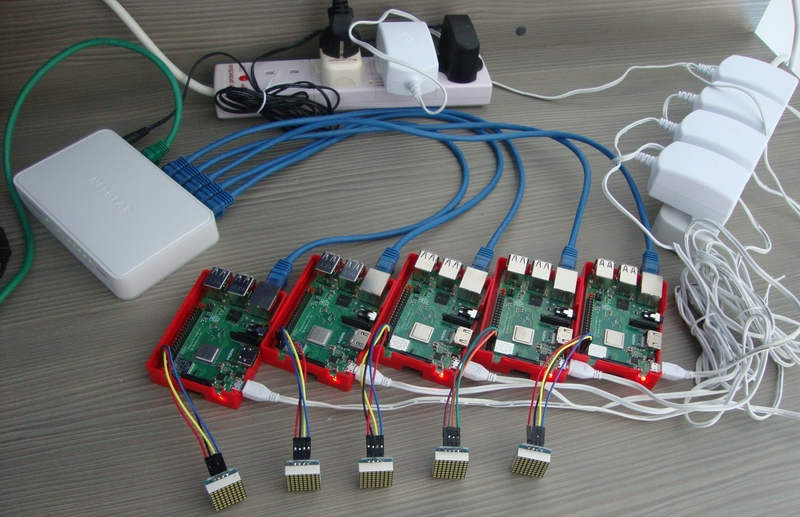 It is a Python library for controlling LED backpack displays on Raspberry Pis and other similar devices and it provides instructions for both installation and usage. Python PIL (or PILLOW) library, more specifically Image and ImageDraw modules. So first, with the aid of the Python PIL library, an 8×8 1 bit image is created and the desired pixels are set to nonzero values using the ImageDraw functions – draw.line and draw.point. 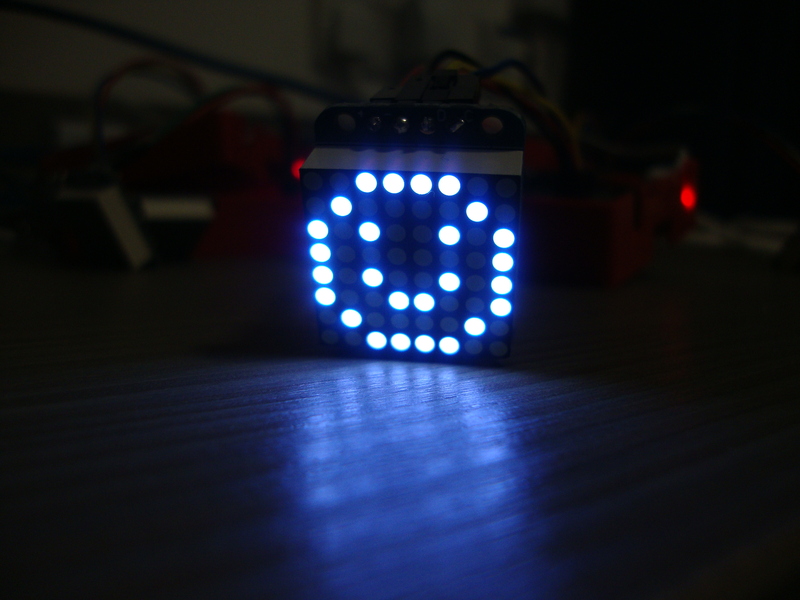 Secondly, the LED light display is initialized and the created picture is simply printed on the LED light using the Adafruit Python library functions. As easy as it gets right? Could you guess from the code what the result will look like? However, there are many other functions that one might find useful, such as rotation of an image or backwards horizontal/vertical scrolling. Even though these functions are not part of the Adafruit library one can quite easily implement them on their own. Provided these powerful tools, all the rest is up to the users creativity. From my personal experience I would say that programming the LED lights is fun. The best part is the fact that you have a visible result and you can see it almost immediately. 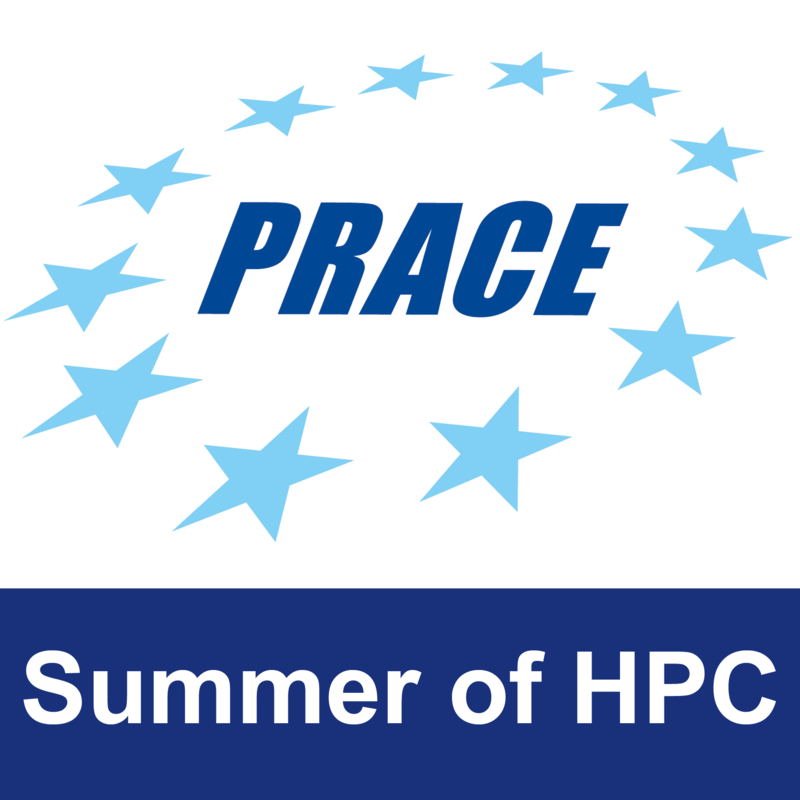 ‹ Importance of a Sensei and HPC kung fu!